Should I fix or replace my roof? It’s an age old question that every owner of a commercial building will eventually have to ask. 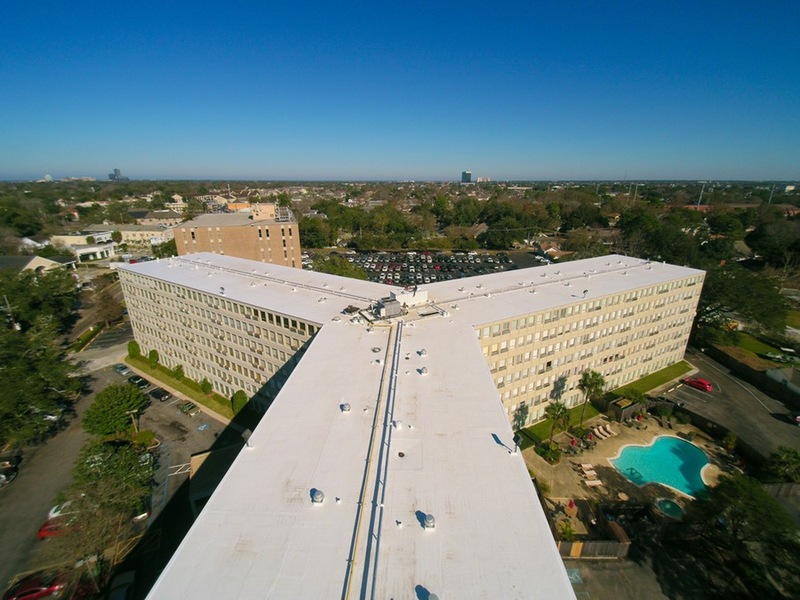 If your commercial roofing is done correctly, it can last you up to 20 years. However, if it’s not done correctly, you could be facing repairs very quickly. In fact, sometimes those repairs become such an ongoing problem and expense that replacing the roof sooner than anticipated becomes necessary. 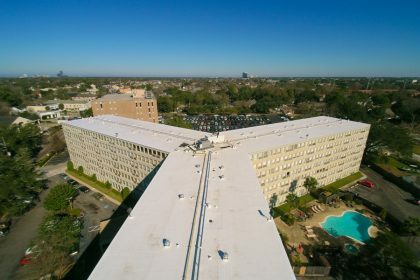 One of the primary concerns with re-roofing a condo complex is getting the job done with minimal disruption to the tenants. Noise is a big concern, but also not losing key comfort systems such as air conditioning. Safety is another big concern, especially on roofs like this one with almost no sides. Without the proper training and safety procedures, anything from an accident to falling debris could potentially happen. The first step in the process was the removal of the damaged and leaky roof even though it was only 12 years old. Then, our team installed a new single ply/EDPM rubber roof with a better R value and thermal insulation properties. Their new roof should give them 20 years of energy efficient service.